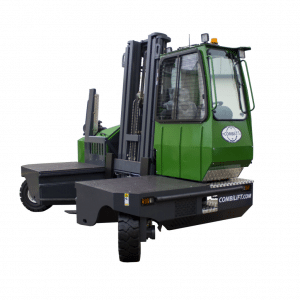 The sideloader forklift handles long and heavy loads easily from side of the truck. 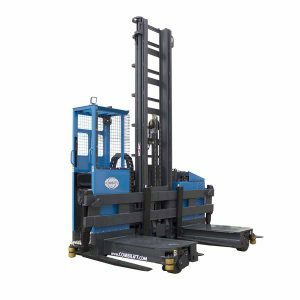 On a sideloader forklift, the forks are positioned on the side and panagraph back and forth, unlike traditional standard forklifts where the forks located in the front. Moving long loads is a breeze with our Combilift sideloading forklifts. Heavy steel, PVC pipes, and other long loads are no problem for these dynamos. You can find the right model for loads ranging from 5,500 pounds to 8 tons. Need a stand-on option for very narrow aisles? We’ve got that, too! Equipped with unrivaled safety features and ergonomics, this material handling equipment is right for any wide or long load situation. There are several benefits using a sideloader forklift. Loading on the side of the machine is safer and more efficient when handling long and bulky loads. Handling long loads on the side of the machine has proven to provide the operator better visibility of the load and increased lines of sight from the front of the truck and behind. Sideloader forklifts have a platform where the load can be rested upon and handled safely. 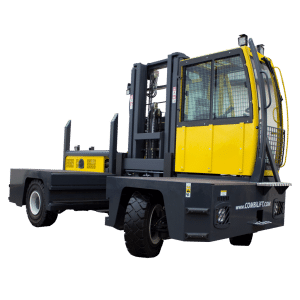 Traditional forklifts handle loads at the front of the truck, which oftentimes causes the load to be handled up in the air to avoid products and other obstacles which can be a safety concern. In addition, Combilift multi-directional lift trucks move in all four directions quickly and easily. This makes it save and damage free handling of long and heavy loads through narrow aisles and doorways. The operator can work in very narrow aisles and storage systems as well as traveling through doorways safely. Without the sideloader, it can be extremely difficult to maneuver a long loads in tight spaces or narrow doorways. 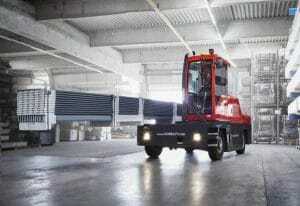 Combi-ST is a stand on, multi-directional forklift that can handle very long loads through very narrow spaces. 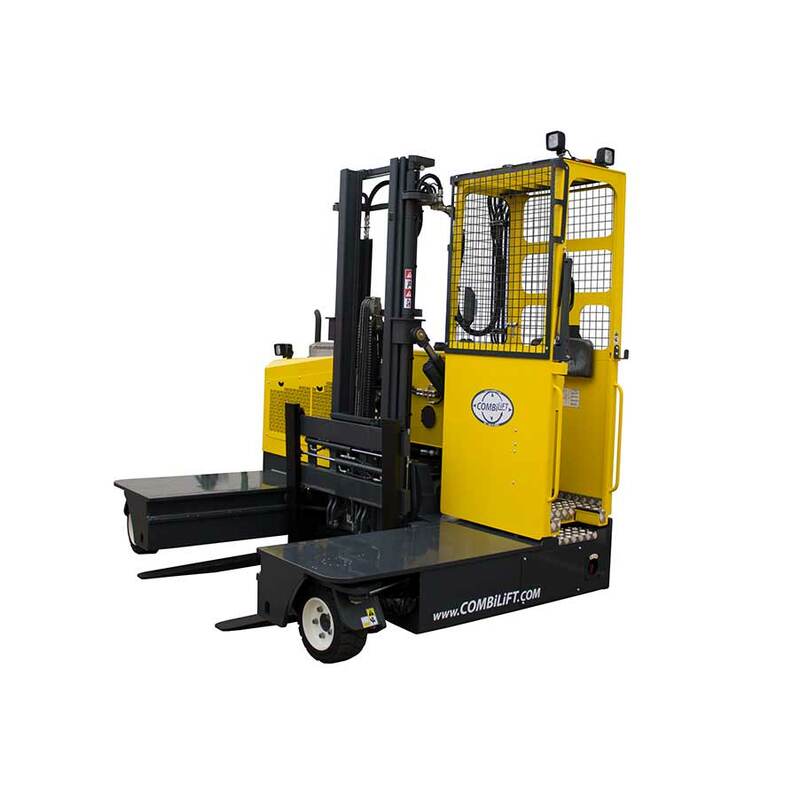 This narrow aisle forklift offers the benefits of three lift trucks, providing all the benefits of a counterbalanced forklift, sideloader forklift, and a narrow aisle forklift. It’s ideal for cantilever rack storage systems. The Combi-ST is great for space saving when storing long loads and/or unconventional palletized loads. The cabin location allows for full visibility of the load for safer handling.